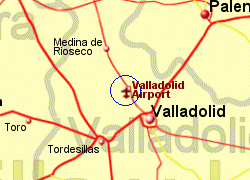 Valladolid Airport is located 12Km North West of Valladolid. 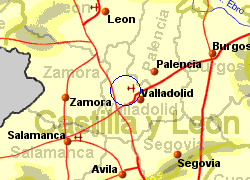 Bus to Valladolid approximately €1. Buses are also available to Madrid and Leon (bus stops if tickets have been pre-booked from machine in the airport). 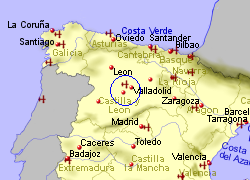 Taxis to Valladolid will cost approximately €20. Facilities at Valladolid airport include a cafe/restaurant, 2 ATMs, Internet access, the airport handled 392,000 passengers in 2010.